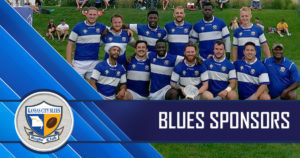 The Blues D1 side was back in league action this past weekend against the St. Louis Bombers. The boys' constant training in the rain paid dividends on this cold and wet Saturday, allowing the Blues to maintain ball possession and work through their attacking system with the ball in hand. Jordan Rice and Blake Baty kept the side in good order, directing traffic from the 9 and 10 positions, respectively. Dalton Humphrey had himself a game at the wing position, wreaking havoc on the Bomber's defensive line from the wing position. 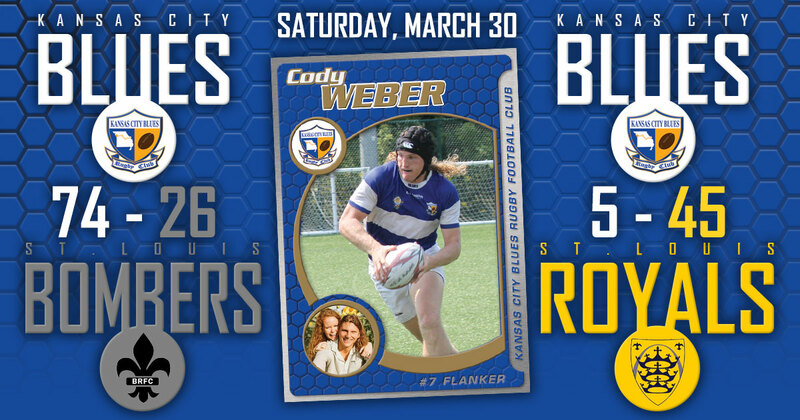 Humphrey and flanker Cody Weber received Men of the Match honors in the effort. Weber put on another display of an engine that simply cannot quit. His presence was known all over the pitch on both attack and defense. The side as a whole showed a brick wall of defense and kept the attack moving on the front foot. The final tally was a whopping 74-26. 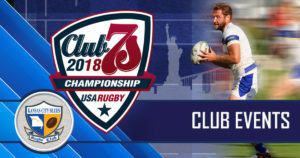 The DI side will take on divisional rival Metro out of Minneapolis on Saturday at 2:00 pm in Des Moines. D2 followed suit against a tough side in the St. Louis Royals. 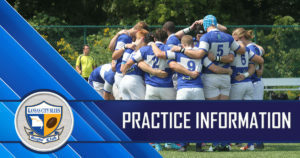 Coach Patterson has implemented a new structure in attack that the boys have been working on and the D2 side, with flyhalf Sean Lennihan and scrum half Erik Hartley at the helm, maintained their systematic approach throughout the match. 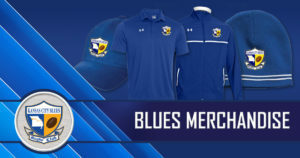 New blood on the squad makes playing within this new structure pivotal for the D2 side's continued success as the season progresses. The side had several good showings by new, talented players. Flanker Austin Hamm continues to be a wrecking ball on attack in just his third rugby match. Alan Bortolotti and Hank Hudson received Men of the Match honors for their hard nosed defense and excellent ball carrying. 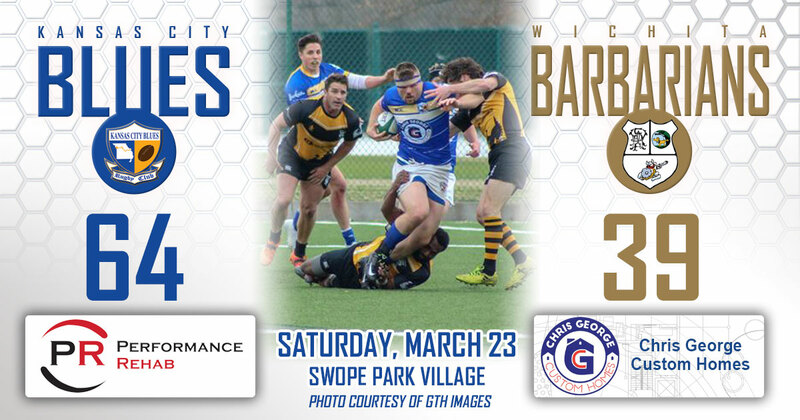 The D2 side will be taking on Des Moines Rugby Club in Des Moines this Saturday, April 6th, at 12:00 before the D1 match.